The WAL MIFARE Plus®/DESFire® EV1 is a high security proximity reader designed to be mounted in switch boxes. 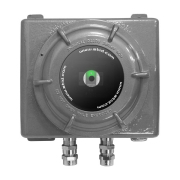 The wall switch reader is fully compliant with ISO14443 types A & B, ISO18092 (NFC) standards and supports special products like CPS3 and Moneo cards. 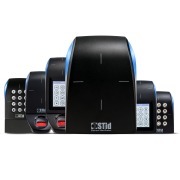 The WAL series is well suited for all your high security access control applications, offering both discretion and user comfort. In order to ensure the bestintegration of your reader, the WAL range is fully compliant with severalelectrical switches. Two versions are available:- WAL2: standard model provided with its STid decorative plate and compliant with “ArnouldEspace”, “Espace Evolution” and “Legrand® Mosaic”plates.- WAL3: thin model compliant with Arnould “Art*Epure & Fusion“ collection.